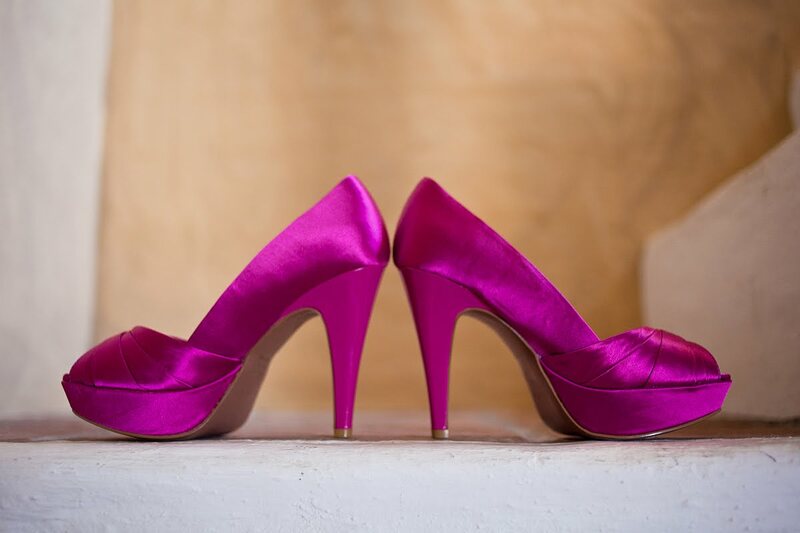 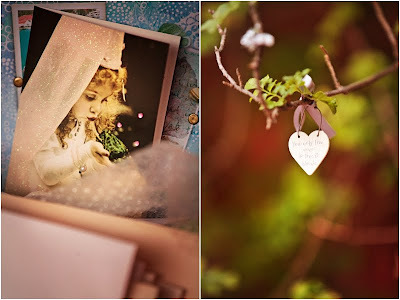 This morning I fell upon a fabulous blog called Bridal Musings which you must head over to take a look at, gorgeous weddings and inspirations. 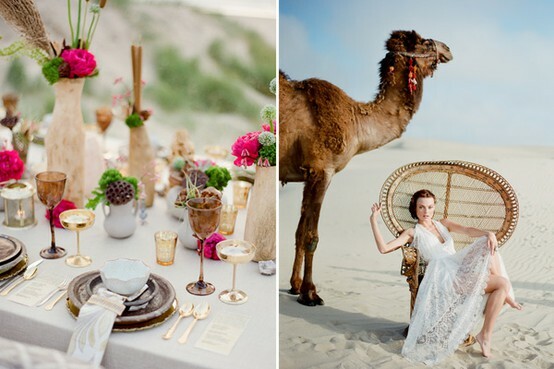 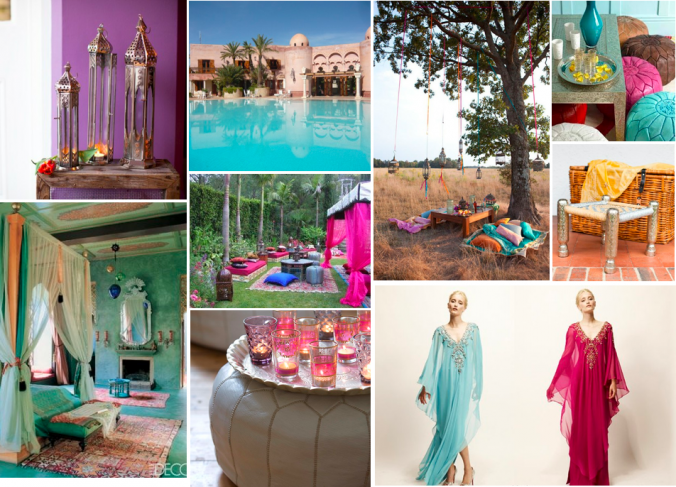 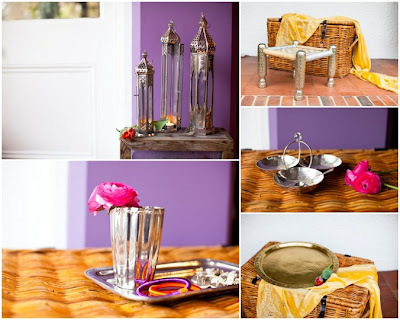 Being established in the South of Spain many of our weddings have a slight element of Moroccan styling and we love the ideas on here using my favorite Moroccan colour combos. 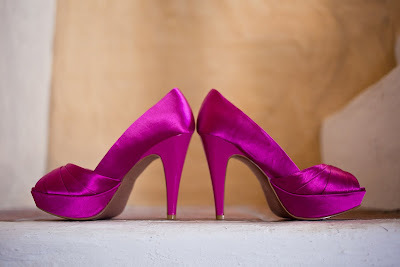 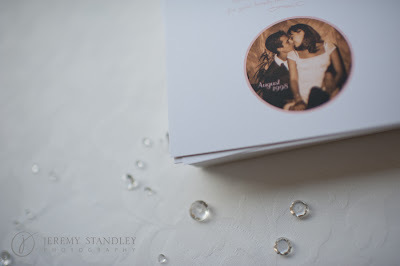 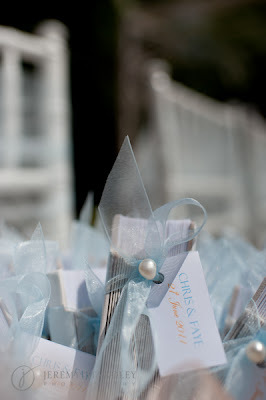 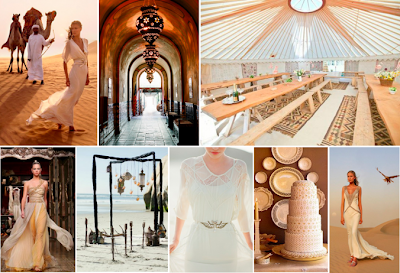 For more information on these inspiration boards head over to Bridal Musings, I guarantee you will be there for a while! 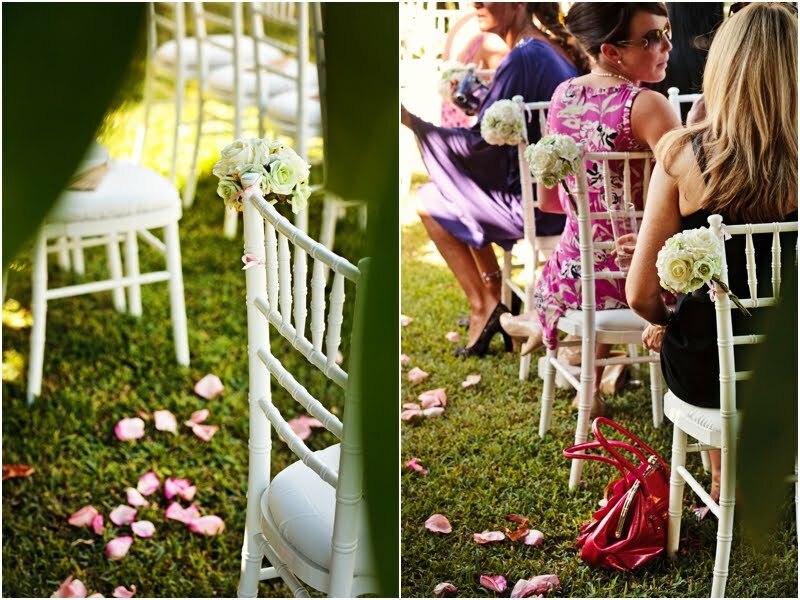 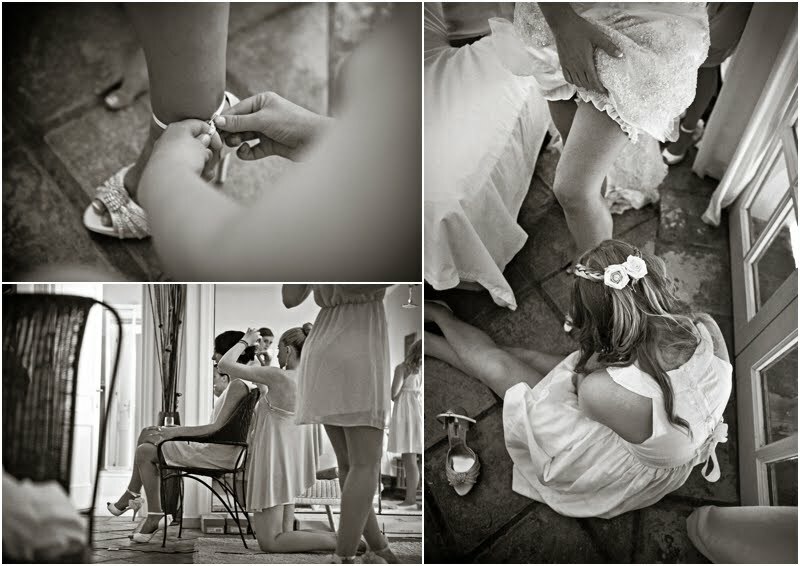 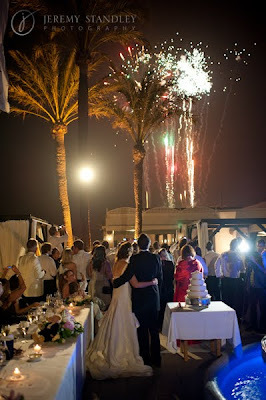 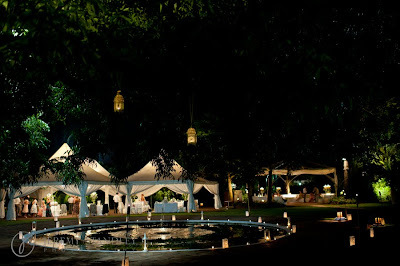 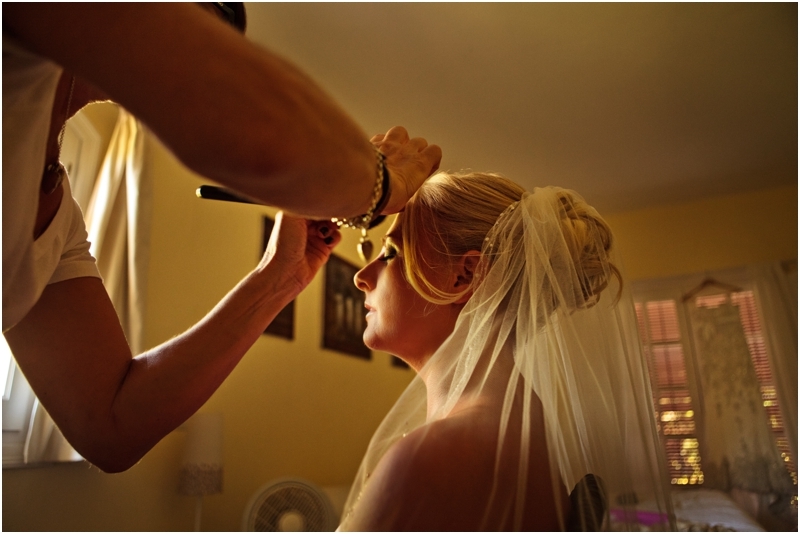 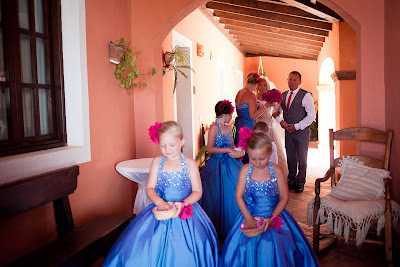 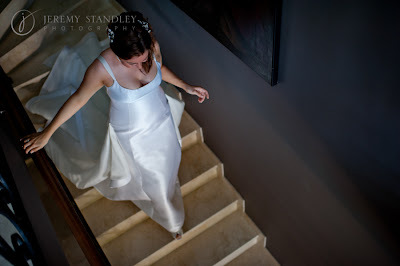 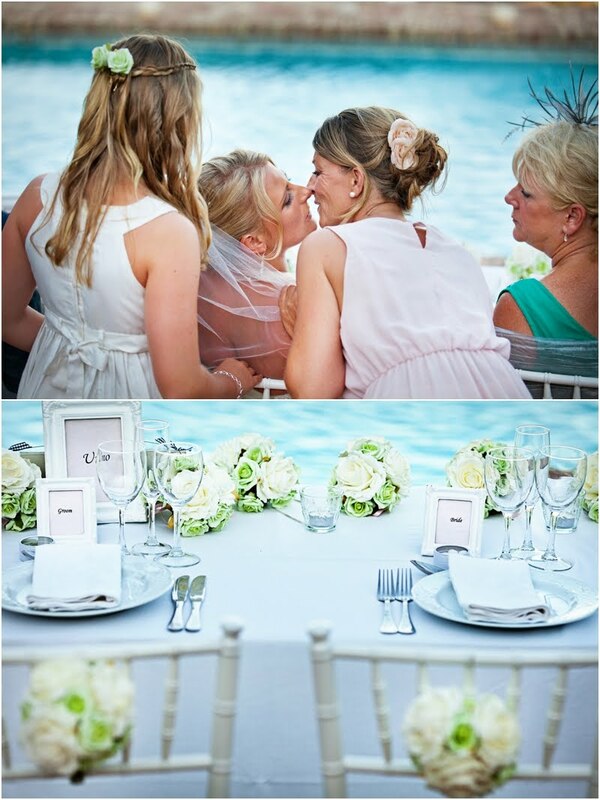 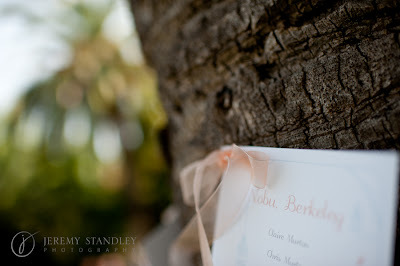 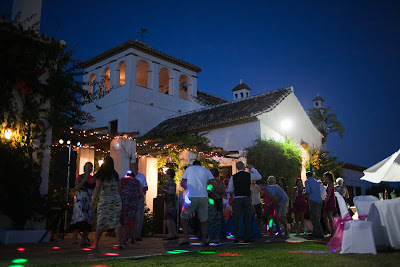 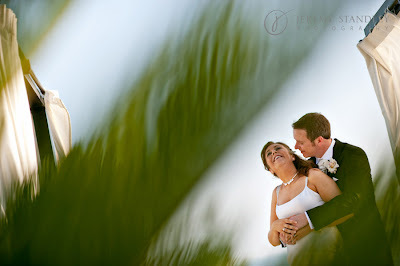 We are loving these photos of one of our weddings last week in a private villa near San Pedro. 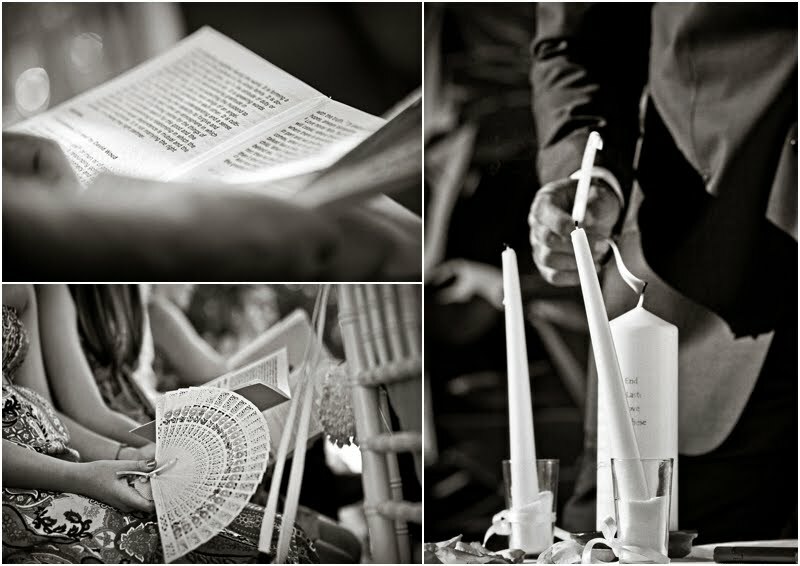 Our thanks to a super speedy Anna, the photographer, for sharing these photos with us so quickly! 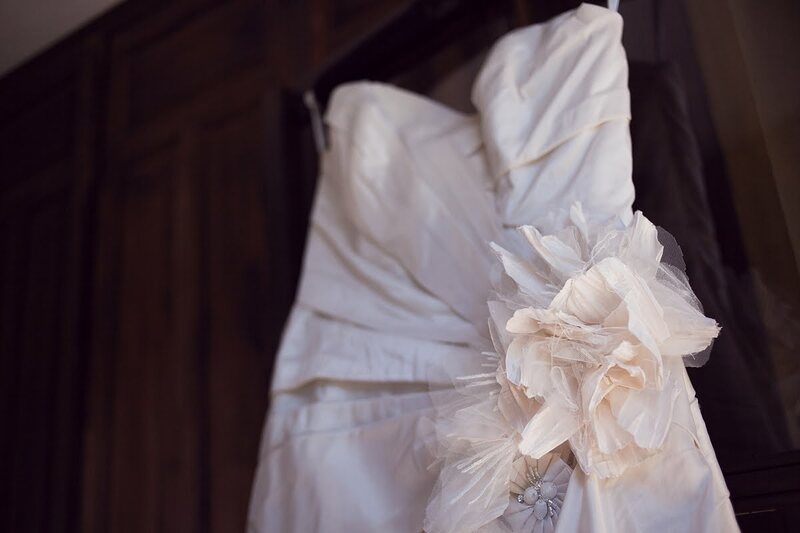 Nikki had bought in her own bouquets, aisle dressings and details to complete her perfect day and we were delighted to work with her to fill in the gaps that were completely impossible to fit in her suitcase! 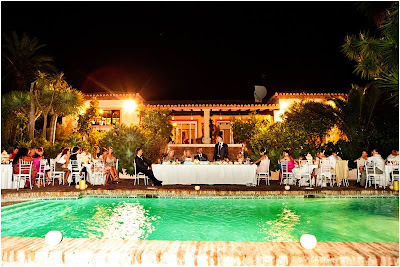 We are thrilled to share these photos with you of one of our villa weddings and thanks to Heather and her team at Fiestasol this was a fantastically run and caterered for day. 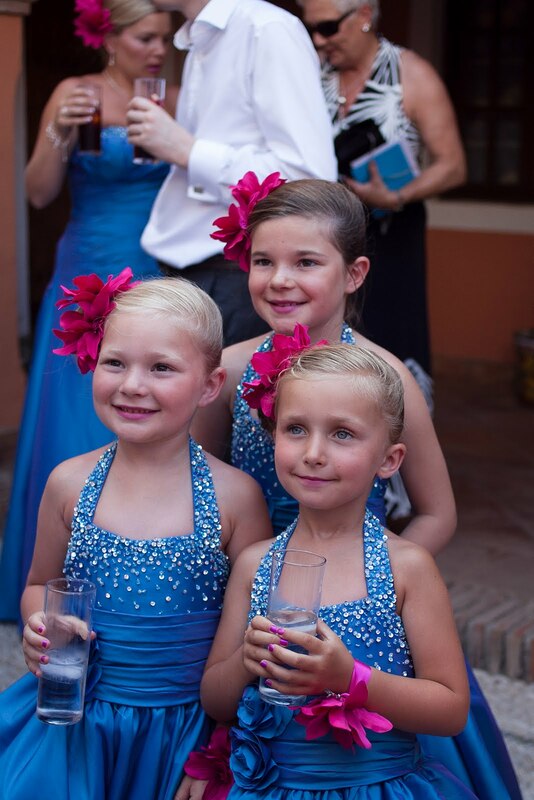 Our big thanks of course to Anna for sharing these delightful photos with us. Louise looked stunning and we personally were completely smitten with the lovely little bridesmaids 🙂 They were all beautifully behaved and loved being part of this intimate family wedding. 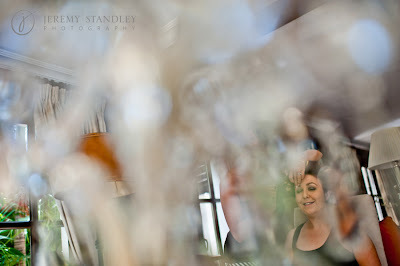 It was a hugely fun and relaxed day for all involved. 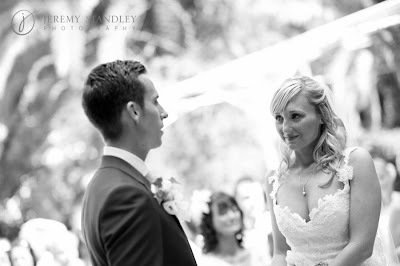 We were delighted when Chris contacted us to help him design and style his wedding to Faye. 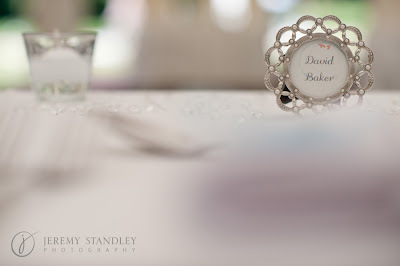 Chris is a designer so was very involved in creating just how he saw his wedding day and to make it even more special Chris and Faye were childhood sweethearts, so we were hopelessly in love with this couple as well and very keen to make sure everything of course, as always, was perfectly styled for them to enjoy their day. 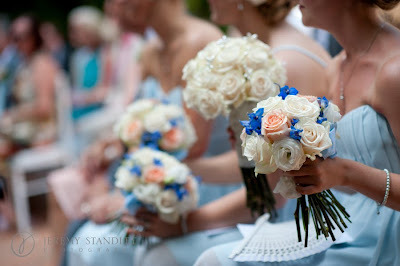 Using a vintage ice blue and pale coral combination, we worked with Lynn as well, Faye´s mother, to create all the beautiful, thoughtful details for the wedding day. 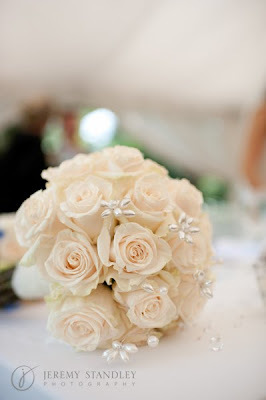 Loraine designed and created these stunning bridal flowers to match the theme with pearl details and our gorgeous table centrepieces of silver candelabras decorated with fabulous flowers and pearl details completed the look of the day. 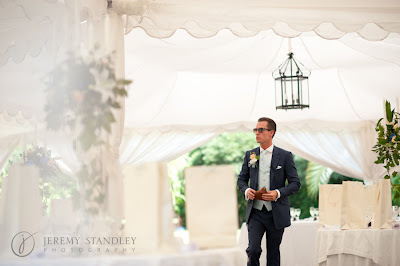 We were thrilled at the outcome of this wedding and many of the other suppliers at the wedding still keep telling me it was their favourite of the year as it was so dreamily romantic. Here is our testimonial from Chris and Faye and also Lynne, Faye´s mother, who we worked very closely with as well leading up to this gorgeous wedding. 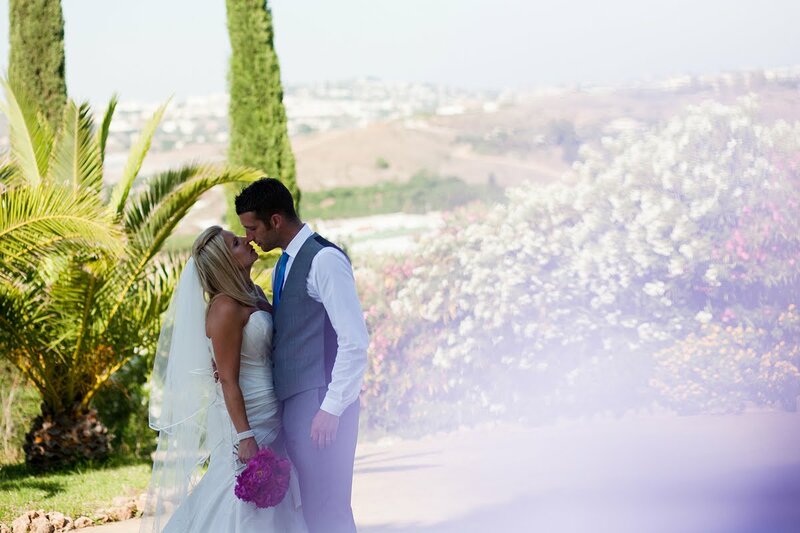 Chris and I wanted to send you and your great team a big thank you before we go off on our honeymoon. 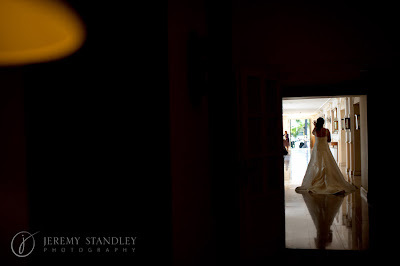 This could not have been possible without you, Loraine and Anoulka, who ensured everything was so perfect and beautiful. It has been such a pleasure to have been able to have worked with you to create our dream day, when I entered the venue it took my breath away, I always dreamed of a beautiful, vintage, romantic wedding day and that is what we got and more. Right from the beginning Chris and I said we wanted to tell a story and take our guests on a journey, since returning we have had so many messages with comments about how they felt they were truly part of something and I truly feel you helped us creating this beautiful journey. 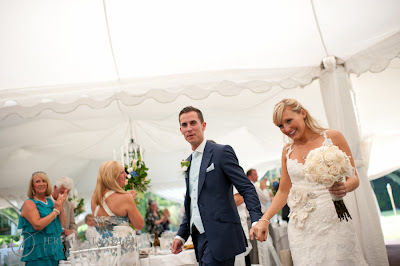 I just wanted to thank you for making Chris and Faye´s day so amazing! 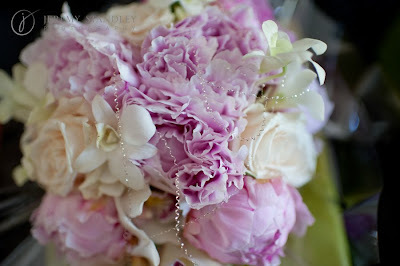 The sheer beauty of everything you created took my breath away, especially the beautiful flowers. 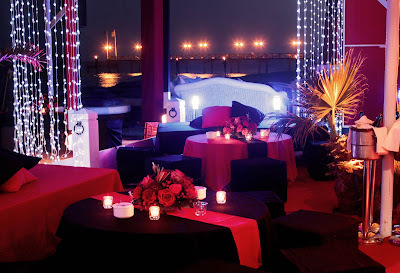 So many people have commented on the decor, saying they have never seen such uniqueness. 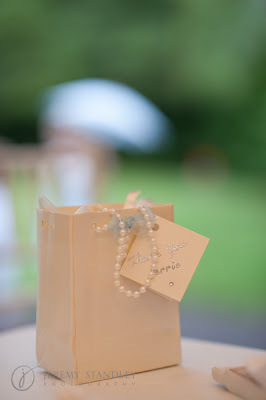 All the hard work paid off and it has been a real pleasure dealing with you, exchanging emails, ideas and finishing touches. 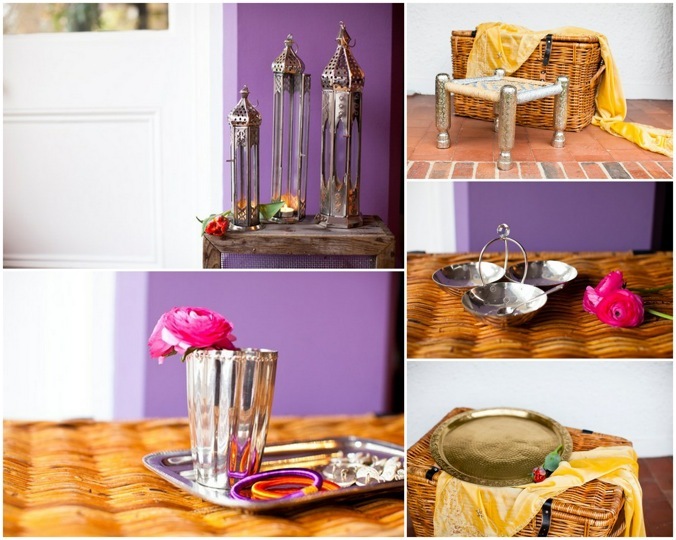 A big thank you to Anoulka as I know she contributed to a big part of the creativity! 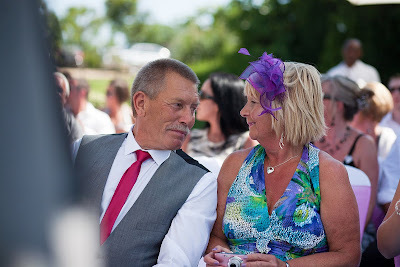 Thank you so much for all that you did to make the day so memorable, it was all that Chris and Faye wanted and more. 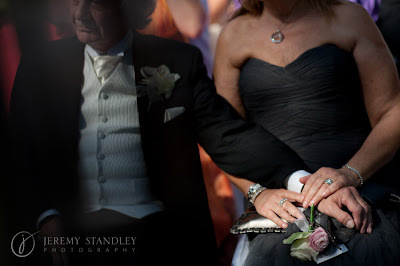 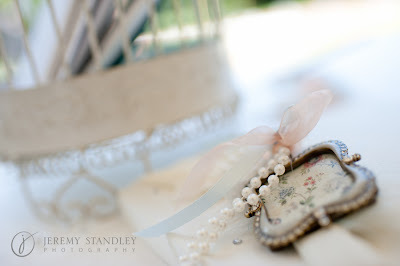 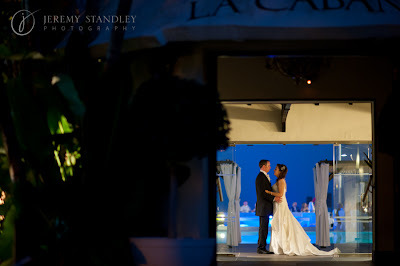 We would like to thank Jeremy Standley for allowing us to share these beautiful photos of a very romantic day with you. 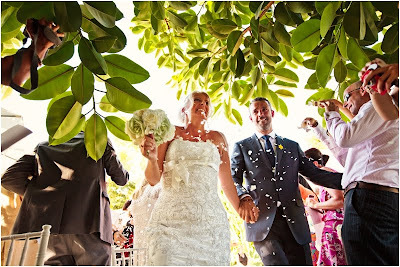 What can I say about this wedding, it was beautiful, understated, utterly charming and stylish and for me certainly one of our favorite weddings this year, definitely a Reviva Wedding! 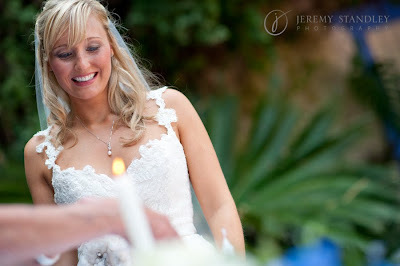 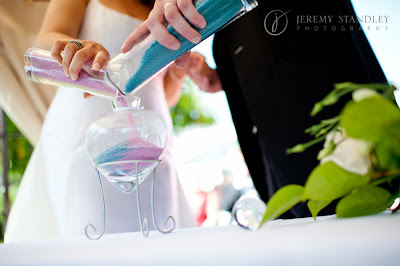 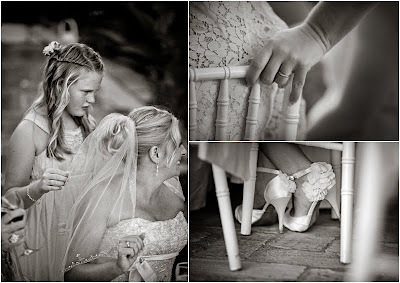 I think these photos certainly portray how beautiful this wedding was and always I am indebited to Jeremy for allowing me to publish these beautiful photographs and share them with you. 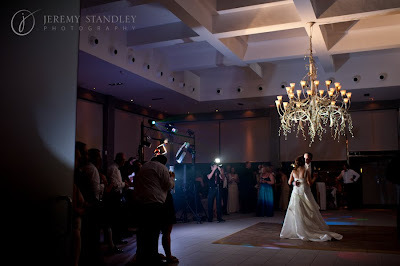 It was actually quite a story as to how this wedding came into fruition which I would like to share with you. 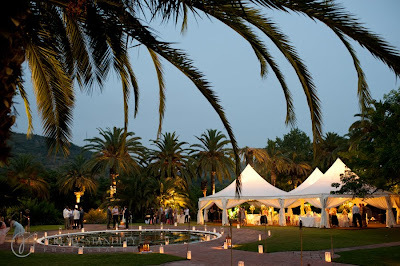 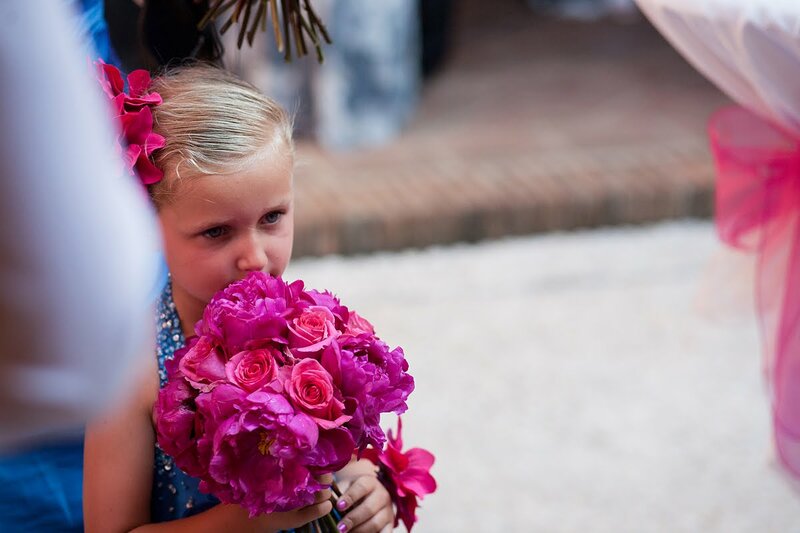 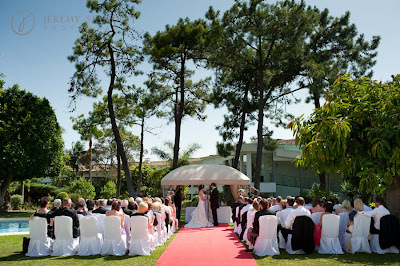 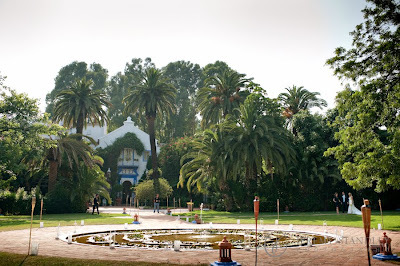 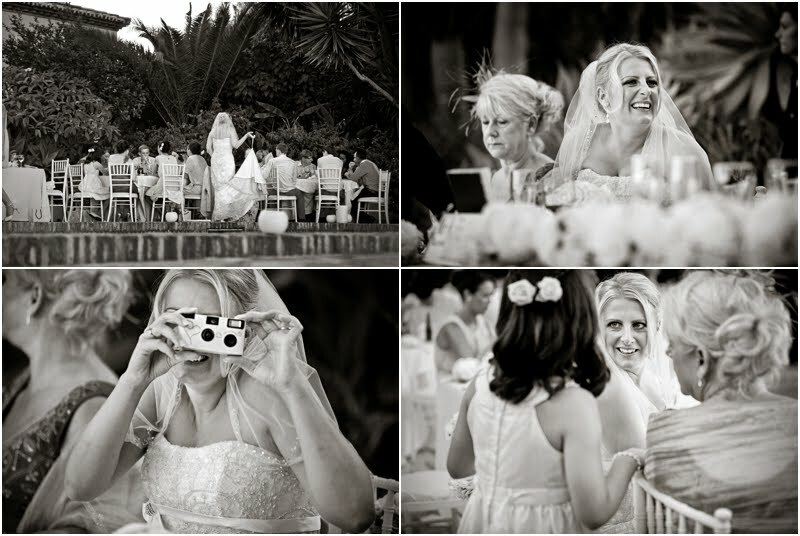 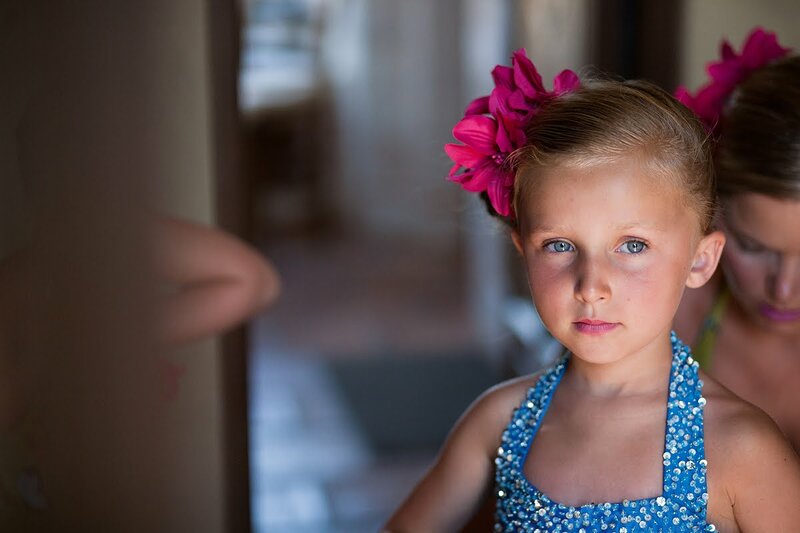 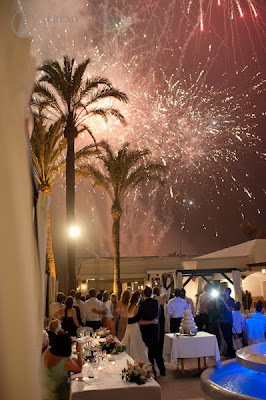 Natalie´s parents had already booked Los Monteros as a venue for their daughter´s wedding to Scott, but realised that they needed help, they had the venue but nothing else. 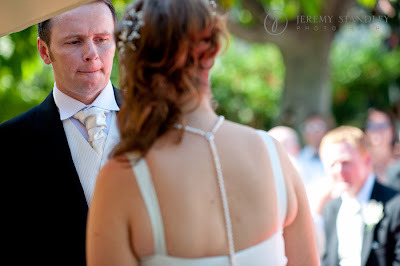 They voiced this concern to James at The Arte Cafe in Elviria, so James immediately pointed to me and Anoulka who were sitting across the square enjoying a quiet cocktail after a busy day at a wedding. 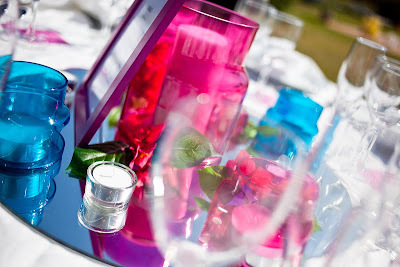 Natalie´s parents came to join us and we chatted weddings, showed them our work and portfolios and a long story but having had out chat we were immediately booked to oversee and manage the rest of this fabulous day and put together the jigsaw puzzle for them. 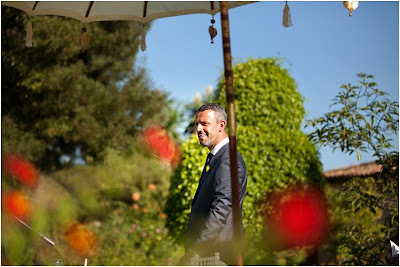 We then quickly rang around and enlisted our A team, who amazingly were all available in the middle of June, and the rest was history. 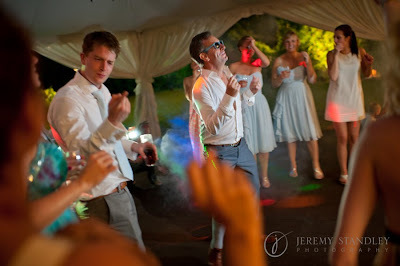 I have to say this particular wedding for me was what the A team and Reviva are all about. 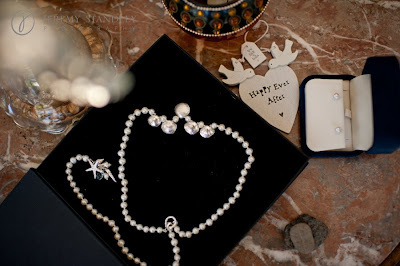 It was stylish, beautifully put together with some very special personal details. 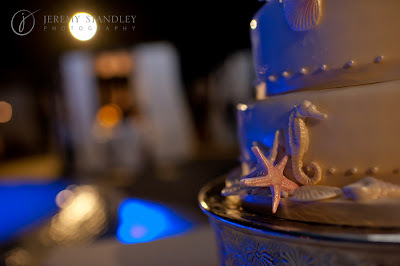 Natalie had a necklace made for her wedding with a gorgeous silver sea shell theme detail so we continued this into the overall wedding design with a very understated look by adding in tiny silver starfish to decorate the wedding fans to incorporating silver seashells into the centrepieces. 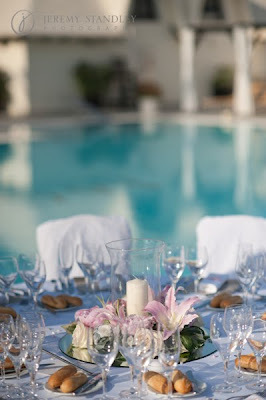 We decorated the event with pale pink peonies and lilies set around hurricane lanterns, created the bridal bouquets in pink dreamy peonies with silver details, scattered the tables with tiny silver shells, Anoulka designed wedding stationery using a pale pink and silver theme with small pearl and silver starfish details, the whole look was subtle, dreamy and divine for a beach side setting at the stunning setting of La Cabane Beach Club. 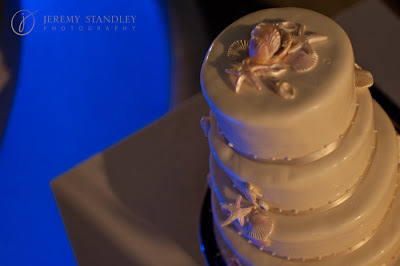 We organised Natalie´s hair and make up with the fabulous Kathryn Parr, Photography of course with Jeremy, the photographer god 😉 Rob the DJ and the divine sea shell cake from Sweet Things by Fi. 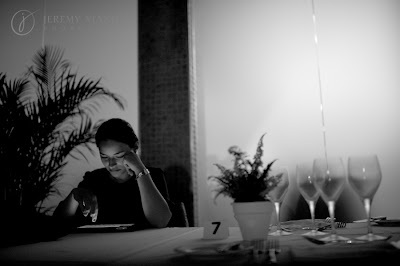 We were thrilled with the results and Carla´s careful attention to details overseeing this wedding left no stone unturned and I love this photo of Carla, our head of planning, at the end showing her true dedication to the day, a very serene photo of our hugely organised planner! 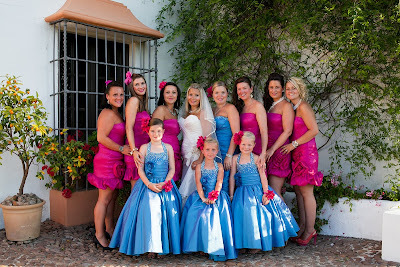 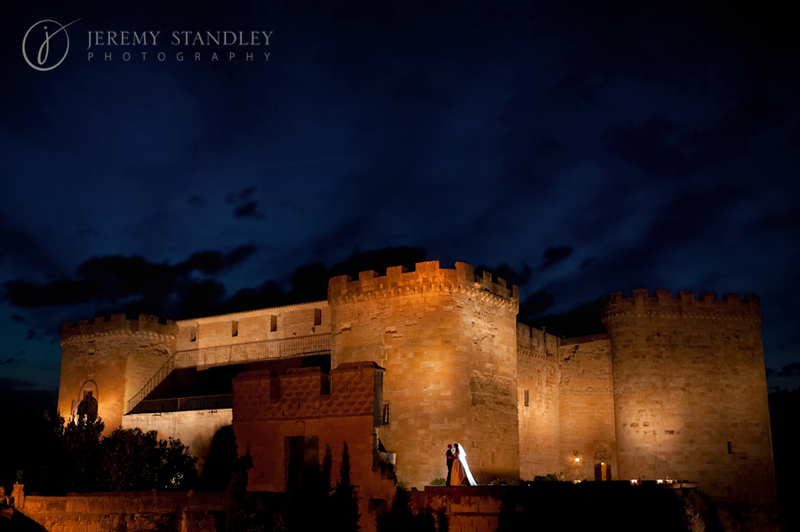 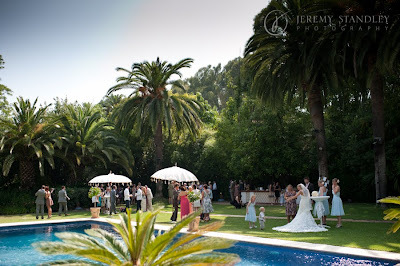 Thank you Carla and the team at Reviva Weddings, I could not have organised my dream wedding in Spain without you! 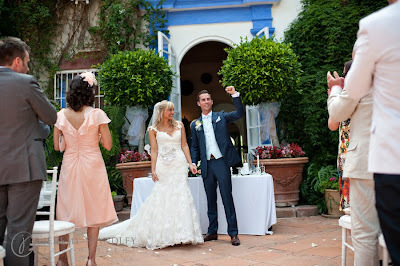 I only had to travel to Spain once to meet with the suppliers and Carla organised and managed the rest of the process on my behalf. 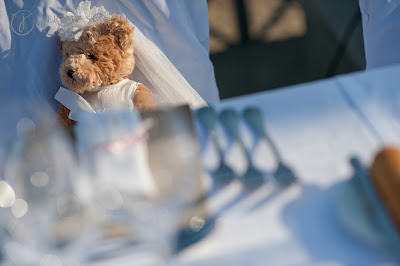 A few emails went back and forth and when I arrived a week before the wedding it was all organised. Carla was with me from start to finish and offered help and advice in all areas. 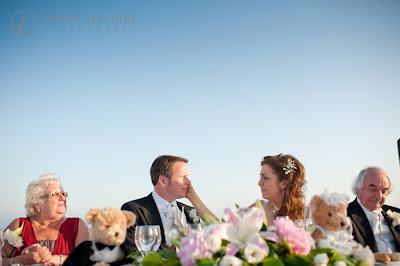 I really do feel we had the best Marbella had to offer, from Jeremy Standley the photographer, to Fiona and the cake, the standard was outstanding. 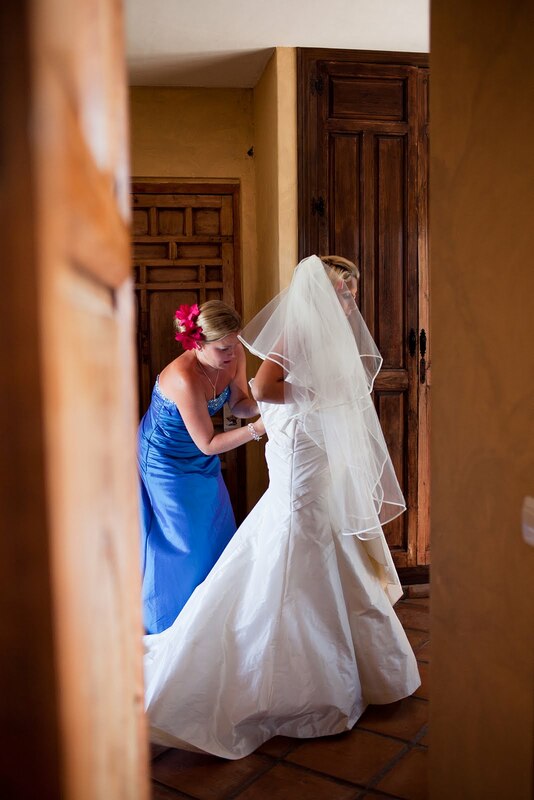 My wedding day was everything I wanted and went without a hitch, Carla was even there when the last person went home! 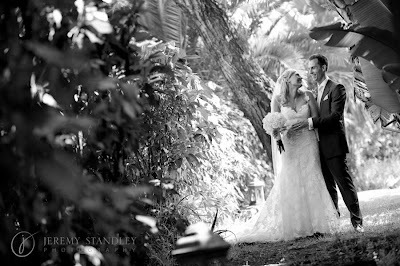 I want to thank you all for for your hard work and effort to make my wedding day the most special day of my life. 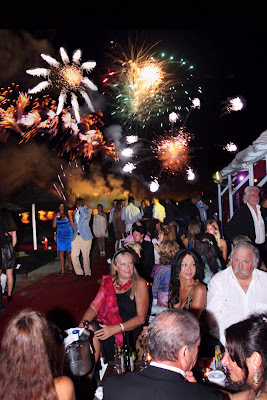 We are always delighted to work with Carlos and Anne from Lipara Productions who create some stunning events here in Marbella and the Chopard Red Carpet Client Party was no exception. 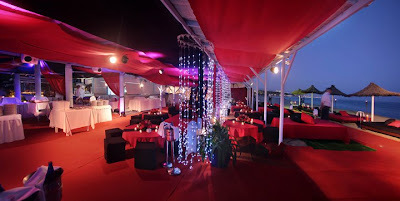 Carlos and Anne had been given the task yet again of transforming the Marbella Club Beach Restaurant into a stunning and glamourous venue with a red carpet theme. This is where we come in with my fabulous team we were on the beach at 8am, after a few coffees!, ready to start the transformation. 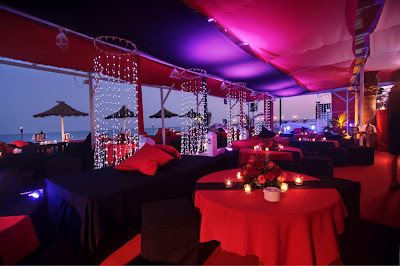 I had met with Carlos beforehand to work out what we were going to do and the technical stuff along with Anne who was organising and designing it and so at 8am in the morning we started to completely cover the beach club with red and black fabrics. Anne had one of my suppliers making up table covers, throws and runners and along with these stunning lights and the flooring team in afterwards the transformation was complete. We are thrilled with the results and the glamour and stars shone again in Marbella! 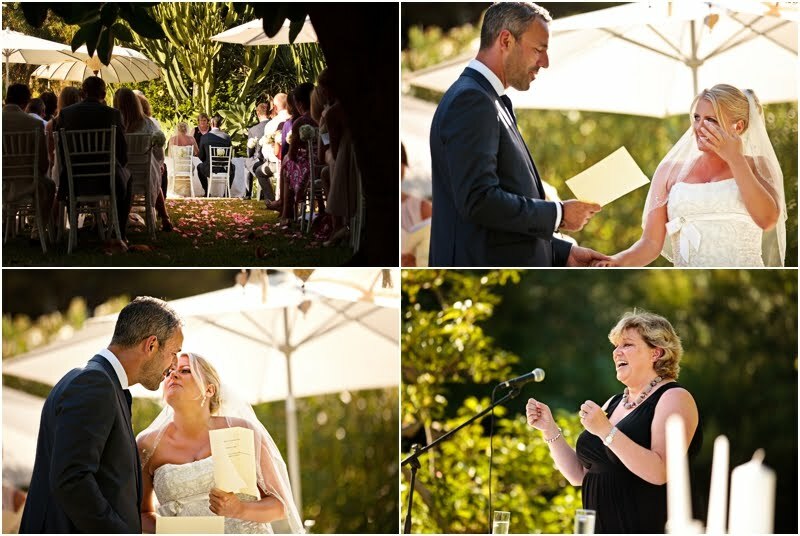 I do love our Jewish Weddings, there are so many different parts to the ceremony and they are all very special. 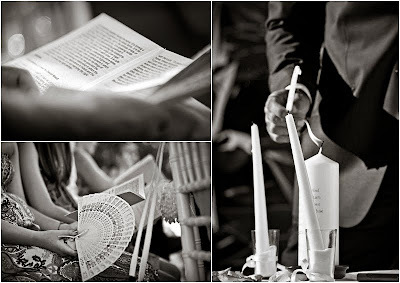 I personally find that they are very spiritual and I love being involved and watching the magic unfold as different rituals are performed. 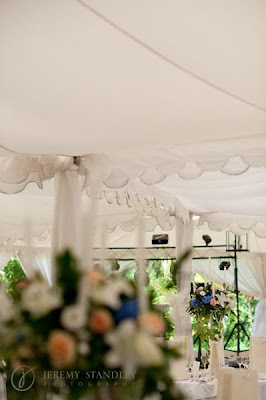 I might be sticking my neck out here but none of the words actually sound like they are spelt which does always make me giggle, chuppah the ceremony canopy is pronounced hooper, but after a few years of designing Jewish weddings and watching these lovely ceremonies we are thrilled when asked to help create, design and plan Jewish weddings. 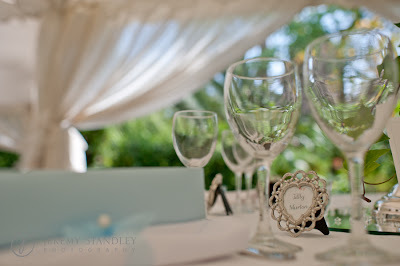 Candy and Jamie were no exception and we were delighted to decorate this fabulous wedding in the stunning setting of the Hotel Vinuela set on the lakes just behind Malaga. 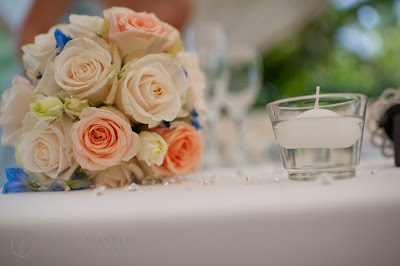 at the beginning of June. 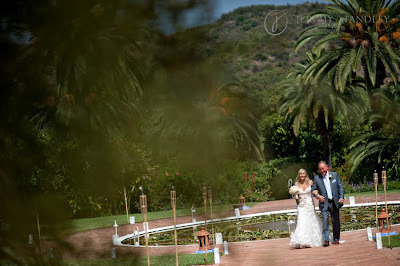 With an already built in chuppah of a beautiful gazebo completely covered in foliage, the setting was just perfect with the stunning bright turquoise lake as a backdrop. 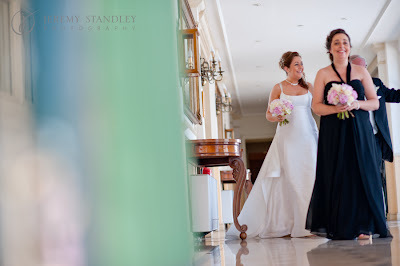 We created these gorgeous bridal flowers, decorated the chuppah and the reception with a stunning ivory, silver and incorporated a touch of black tie into the reception area, which lent itself to the style of the venue and the fact it was a black tie affair. Anoulka and I sat and watched this delightful marriage performed under the chuppah and it bought tears to our eyes as Candy and Jamie were just such a beautiful happy couple. 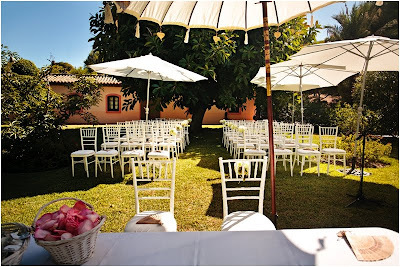 We do also have very fond memories of Candy´s grandmother with her numerous cavas and desperately trying to stay upright for the ceremony 🙂 It was a lovely moment. Here is our email from Candy and Jamie after their wedding which we were delighted to receive and our thanks to Alex Olsen for allowing us to publish these beautiful photographs of a very special day. 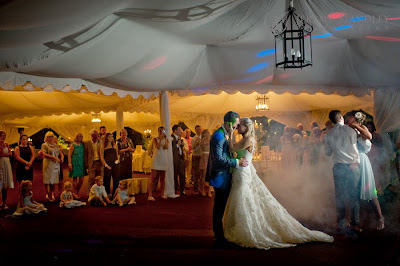 Jamie and I are now back home and floating down to reality after an amazing wedding day, it was incredible, the best day ever and like a dream. 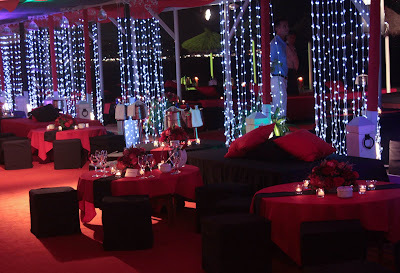 Thank you for being a part of it and making it extra special for us. 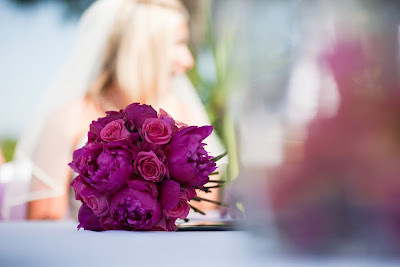 The flowers and bouquets in particular were absolutely stunning, we loved them and the table decorations were gorgeous, not to mention the chinese sky lanterns that were a complete surprise to me and really, really magical.